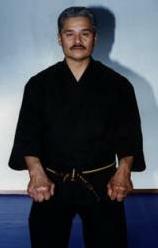 Part of Kajukenbo is Kenpo Karate. Here are some of Kenpo's pioneers. 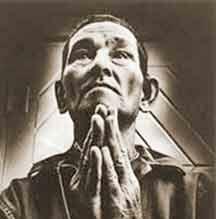 Edmund Kealoha Parker was born in Hawaii in 1931, and raised a devout Mormon. At sixteen years of age he began his training in the martial arts with Frank Chow in his native homeland of Honolulu, Hawaii in Judo and later boxing. Having been in many street fights himself, Mr. Parker quickly saw the benefits of Kenpo’s explosive action, minimum target exposure, and potential to ward off multiple attackers. After some time Frank Chow introduced Ed Parker to William K. S. Chow. Mr. Parker trained with William Chow, while serving in the Coast Guard and attending Brigham Young University. 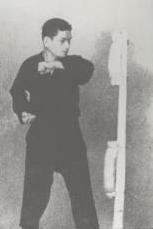 It was 1953 that he was promoted to the rank of black belt by William Chow. He opened the first karate studio in Provo, Utah in 1954. 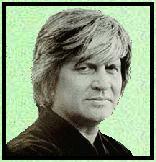 He was well known in Hollywood, he trained a great many stuntmen and celebrities, most notable was Elvis Presley. He also taught Robert Wagner, Blake Edwards, Robert Culp, Robert Conrad, George Hamilton, Warren Beatty, and many others. He helped Bruce Lee get started by introducing him at the 1964 International Karate Championships. Many people owe Mr. Parker in one way or another. He is most well known to Kenpoists as the founder of American Kenpo and is referred to as Senior Grand Master. Edmund K. Parker died in Honolulu, Dec.15, 1990.